My name is Thomas Heikes and I want to let everybody know of a few natural building workshops, two of them are on our property. I shall inform you a little bit about the projects so that you have a clearer idea of whether or not you would be interested in joining us for these educational natural building workshops. 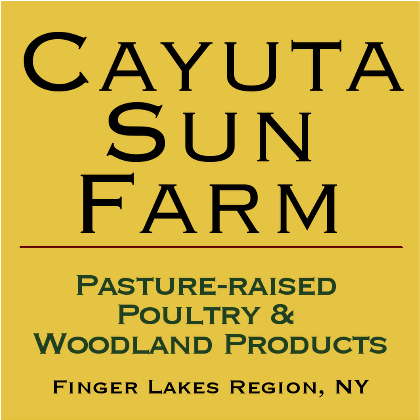 We live on a small farm outside of Berne, NY where we grow most of our own food and live quite a sustainable and organic life, but mostly we grow medicinal herbs for medicinal products. This summer we are expanding our operation and will be constructing an earth bag and straw bale building and finish it with plaster in the form of workshops for the public. The workshops will be carried out as an educational training workshop, and we are still searching for our participants. These workshops are being carried out by a non-profit natural building organization with whom we are friends. And through this non profit, there is also another workshop being held in July, an Off-Grid House. 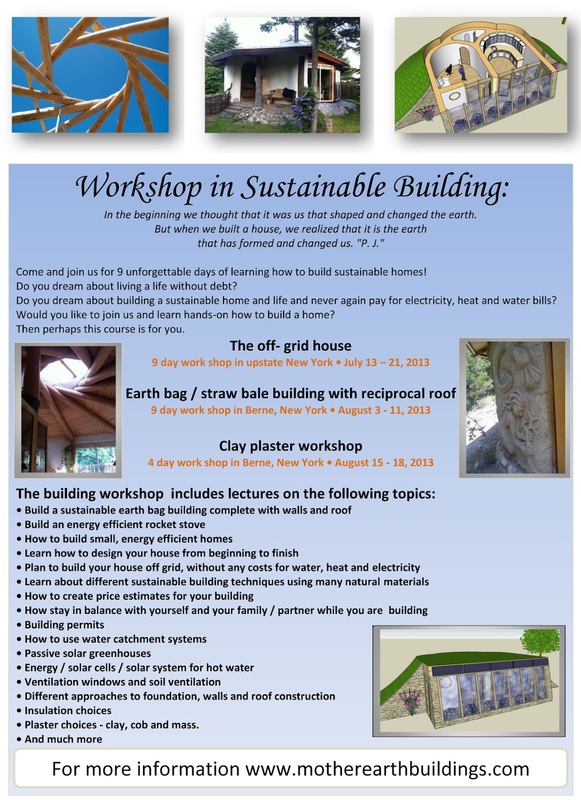 You can also check out the workshops in way more detail on the non-profit’s website: http://www.motherearthbuildings.com. I hope all is well and that we can share in this experience which brings us closer in harmony with the interconnectedness of all things, especially the earth! It is so liberating to work with pure materials to craft structures that provide our needs in a conscious manner. I hope to see you there, and let me know if you have any further questions and I look forward to hearing from you!